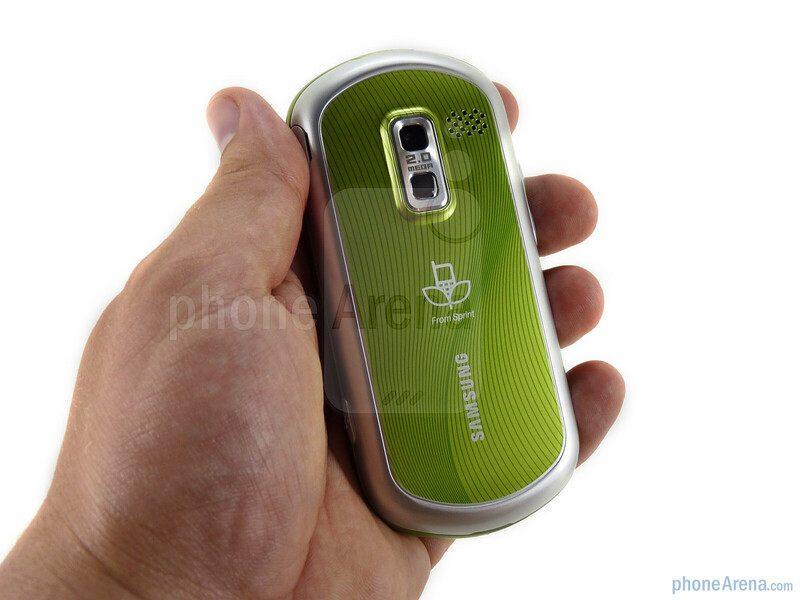 About a year ago Sprint became the first US carrier to introduce an eco-friendly phone, the Samsung Reclaim. More than just a showpiece, the Reclaim was simply the first step in Sprint’s larger green initiative. They have introduced many eco-friendly accessories, redesigned their packaging to reduce and even eliminate the use of plastics and spearheaded a nationwide phone recycling campaign. The Samsung Seek's box, for instance, can be used as a return kit to send your old phones back for recycling and their flagship HTC EVO 4G comes in a recyclable tub instead of the traditional box. 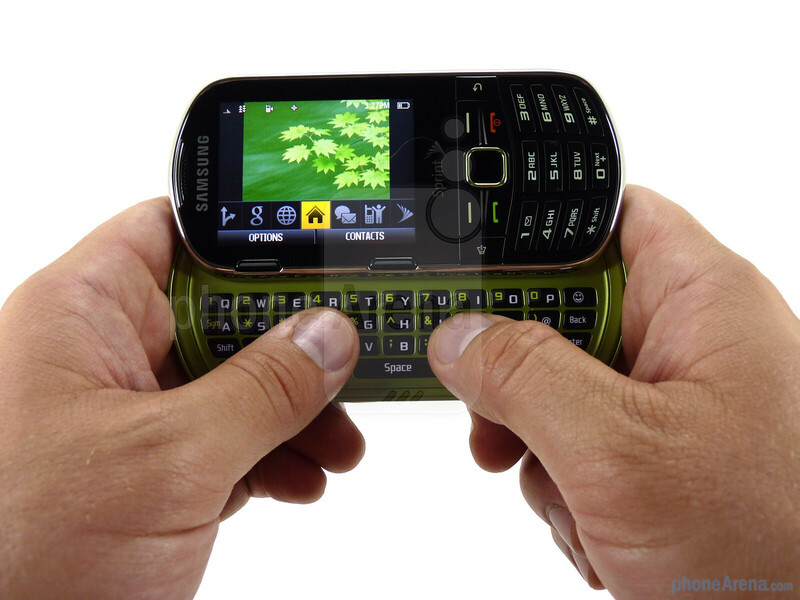 The Samsung Restore is the company’s second eco-friendly offering for Big Yellow, and the third overall environmentally conscious device along with the LG Remarq. Included in the Restore’s green packaging you’ll find a high efficiency Energy Star 2.0 compliant charger, minimalistic user guide printed with soy ink and a 2GB microSD card. 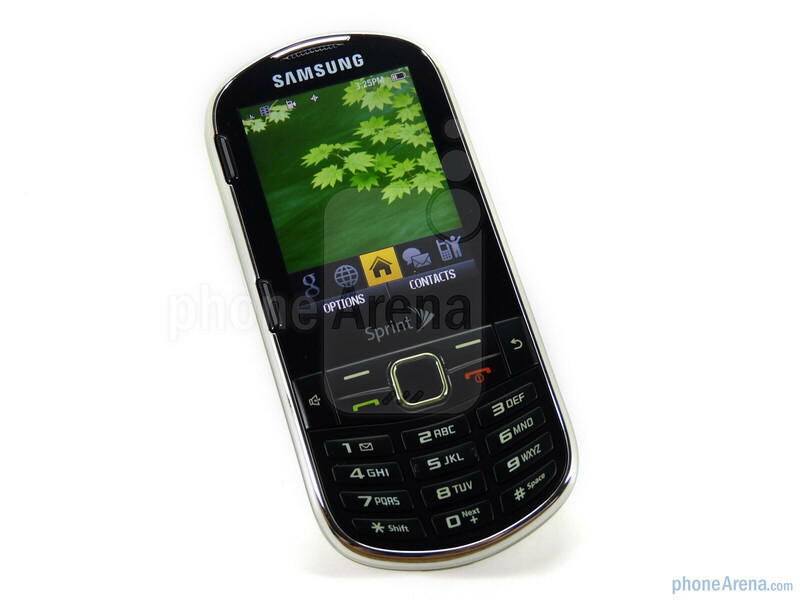 The Samsung Restore is the latest in Samsung’s M5xx line for Sprint, clocking officially as the M570. 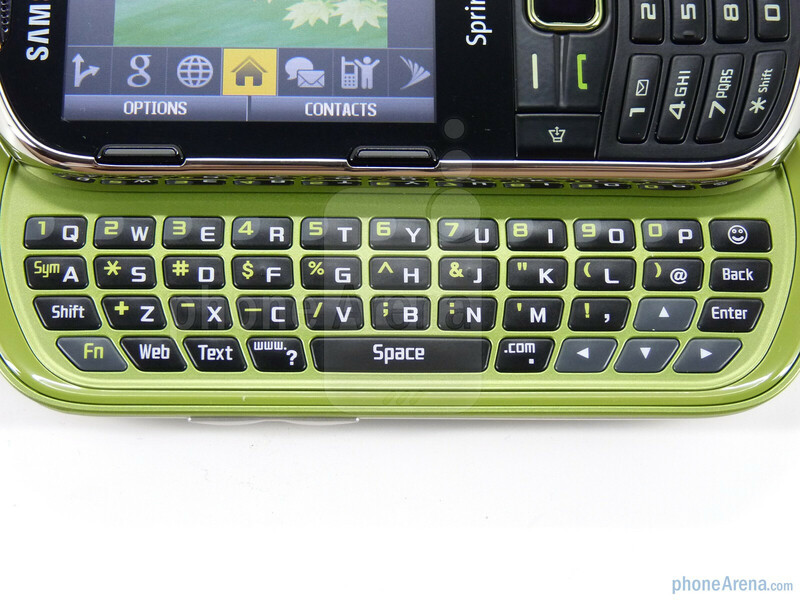 The M500, M510 and M520 were all more traditional flip or slide phones, but the side-sliding, QWERTY packing Rant M540 moved the line into the mid-range messaging category. Samsung experimented a bit with the dual slide Exclaim M550 and portrait sliding Reclaim M560, but the Restore brings back the original side-sliding design of the Rant. It’s the smallest and the lightest of the side-sliding M5xx devices, but probably feels the most sturdy of the pack. 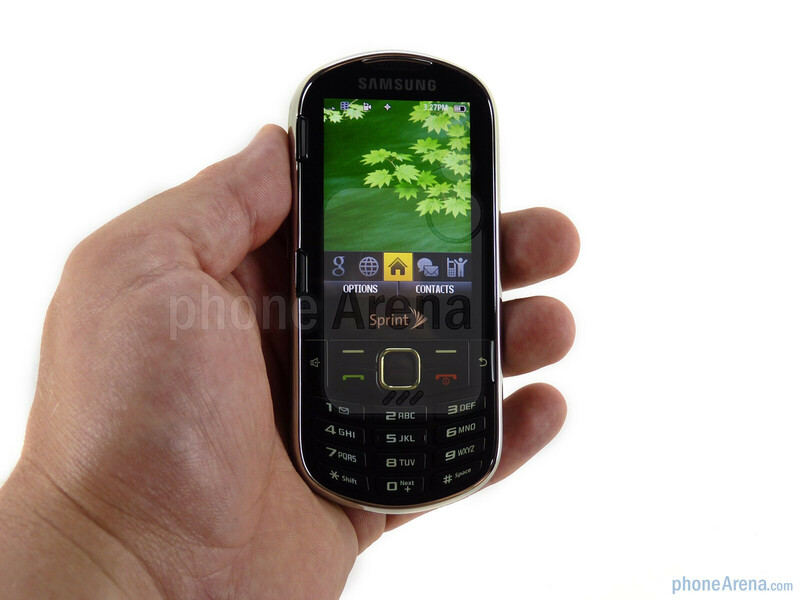 You can compare the Samsung Restore M570 with many other phones using our Size Visualization Tool. The Restore has a 2.66” QVGA display that is quite crisp, thanks in part to its 262K colors. This is nothing new for Samsung devices, the Reclaim and Exclaim both have good displays as well, but is nice to see none-the-less. Below the display is the traditional navigational cluster with an untraditional twist: an optical trackpad a-la BlackBerry. It works well, but there are no sensitivity options so user satisfaction may vary. Beyond that you’ll find dedicated Speakerphone and Back keys, along with Send, End, two soft keys and a 12-key keyboard. The spring-assisted slide feels a bit heavier than most, giving the Restore a very solid feel. The four-row QWERTY keyboard has dedicated text, web and smiley keys but this is at the expense of a dedicated row for numbers. Similarly to the Seek, the keys on the Restore are flat and somewhat slippery, but offer a good pop when pressed. We weren’t crazy about the feel, but at the same time we didn’t have problems typing quick and accurate messages. There are two soft keys that run along the left side of the display and are activated when the Restore is slid open. 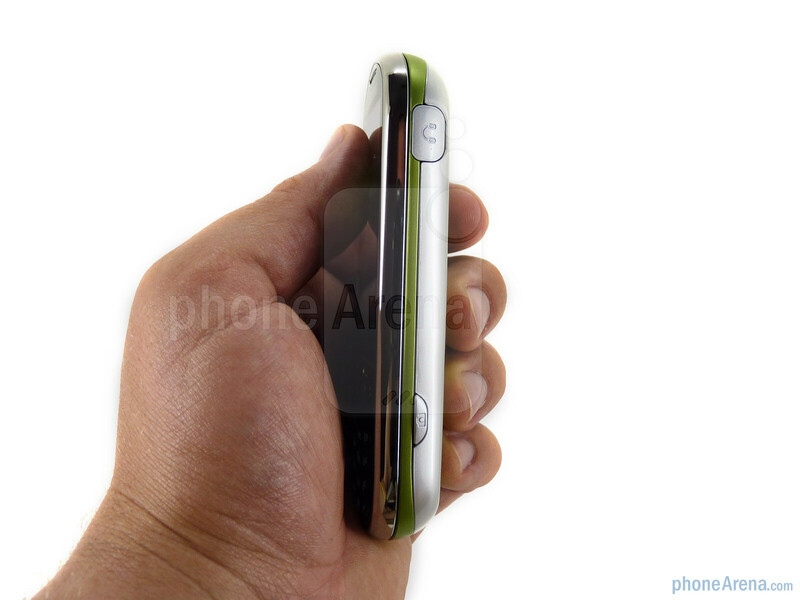 Along the left side of the phone is the volume rocker and on the right side you’ll find the Restore’s 3.5mm headset jack and camera key. 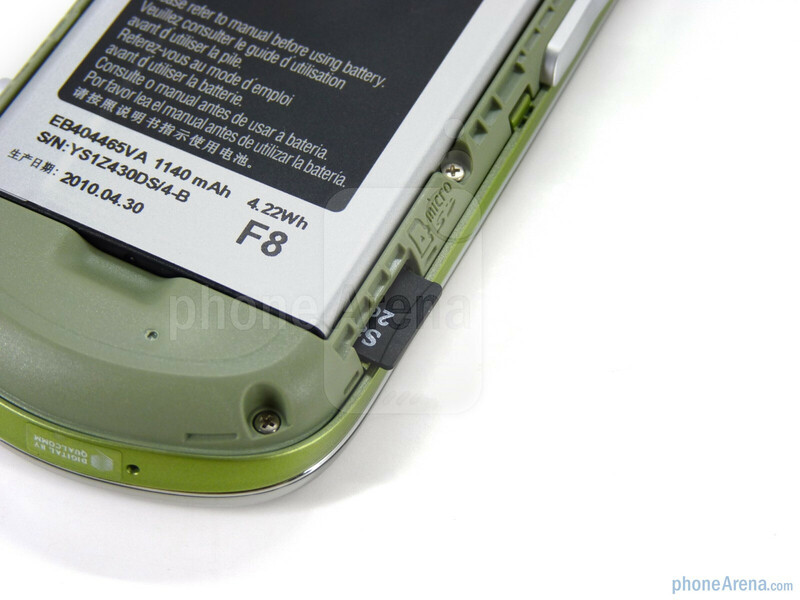 The microUSB charging/data port is placed at the top of the device, and the microSD slot is accessible on the left side of the phone after removing the battery cover, a task that takes a bit more prying than we’d like. 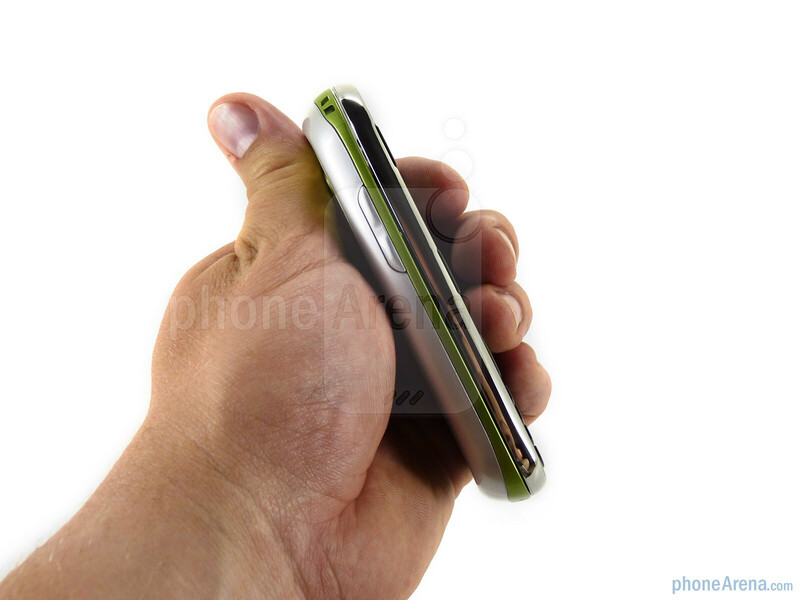 The back prominently displays the 2 megapixel camera and to its right a single speaker. 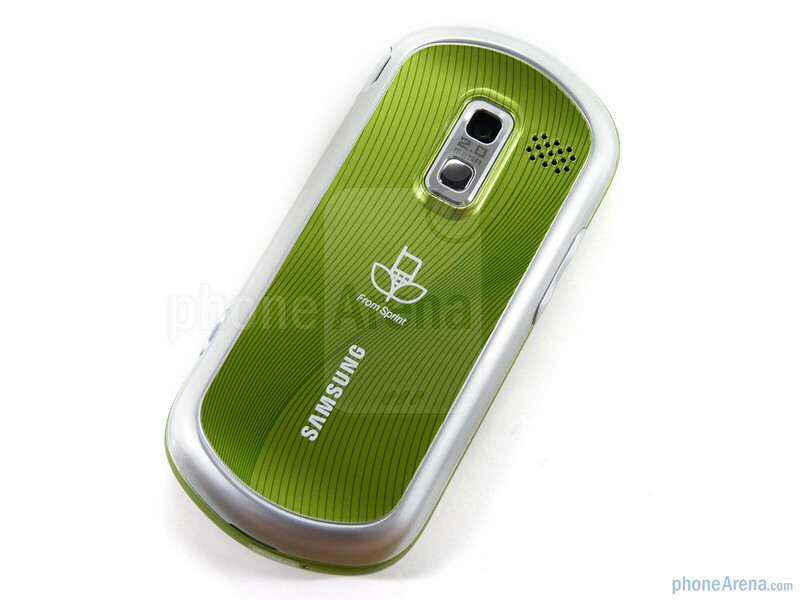 The Samsung Restore comes in two color options: Limeade and Midnight. The former is the more fun of the two with its light green hue and silver accents; the Midnight option is mostly black with touches of blue. 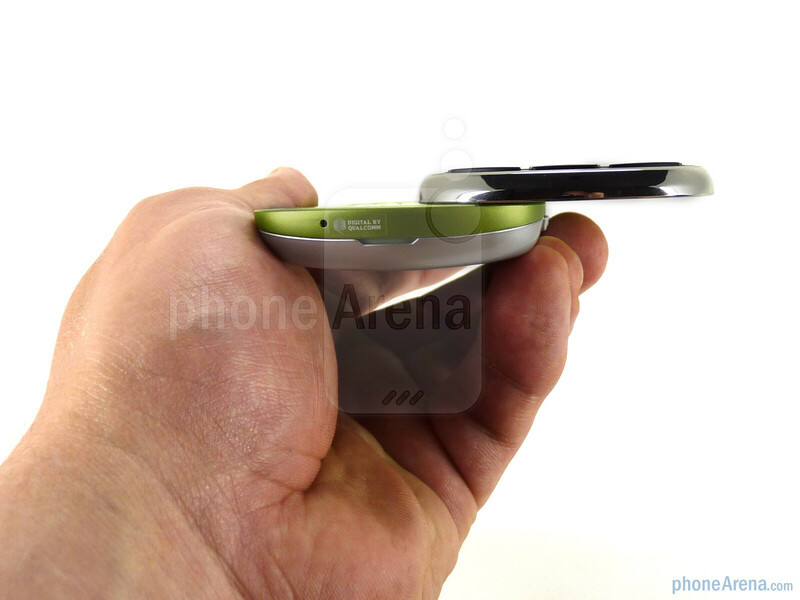 Both have a chrome bezel that rings the front housing. The Restore has a good hand feel and with its heavy slide mechanism feels like it could withstand more than the everyday bumps and drops. We’re not advocating that you expose it to the same punishment that you’d subject your Motorola Brute to, of course! 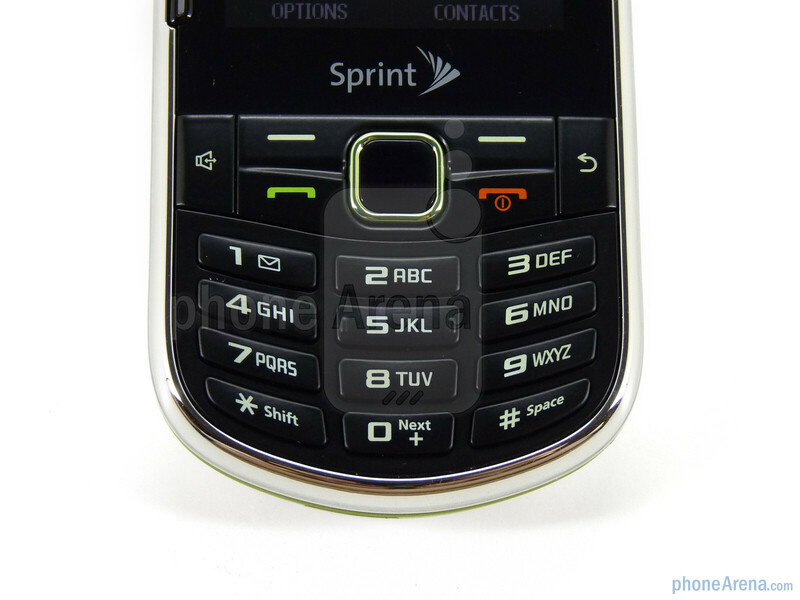 This is the WORST phone I have ever have. It is so sensitive that it calls people all of the time by accident. It called my boss a 12 am while I was sleeping- AWFUL!! The thing I like about this phone is that it is claimed to be eco-friendly. Made out of recycled materials. It works at least. I never go harsh on my cellphones, but after a few months, it started freezing, rebooting on its own, and the trackpad has always been too sensitive. 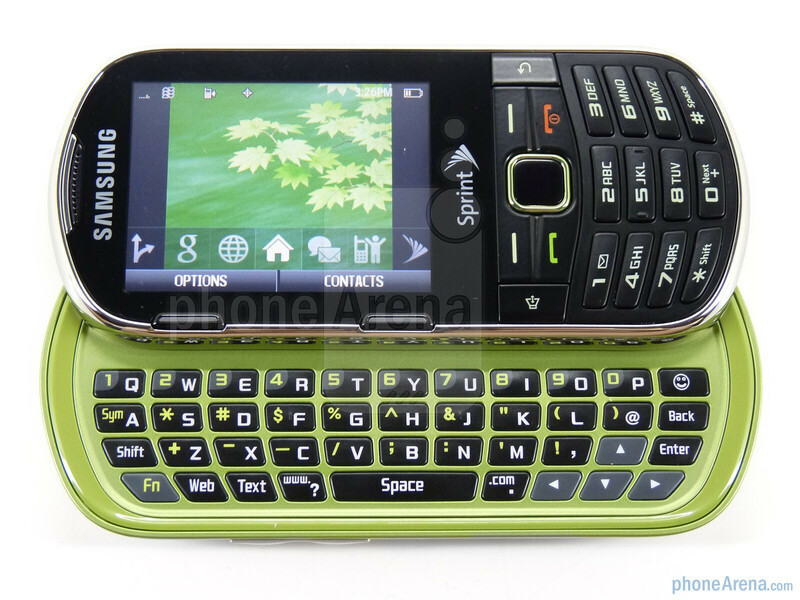 The ringtones on it are boring and the only good side is that it is comfortable typing a message although the keyboard is far from being great. I still have this phone, obviously don't use it, but it's an emergency backup. Design is not too bad. Camera quality obviously isn't going to be awesome and the build is somewhat sturdy so that's ok. Battery life is good so no problem there.